Observation notes: Sunny, temps in the mid-80's, and very windy. 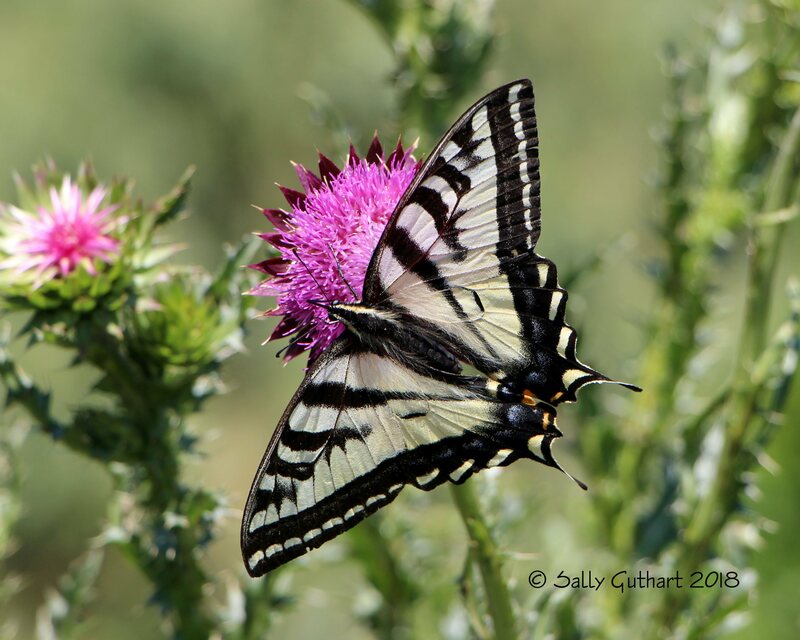 I saw a total of three Swallowtails flitting from one Musk Thistle to another. There were also 10 or more Fritillary Butterflies sharing in the bounty as the Thistles were plentiful! This location is near a creek with Willows, Alders, and Chokecherries growing nearby. Coordinator notes: Correct identification. 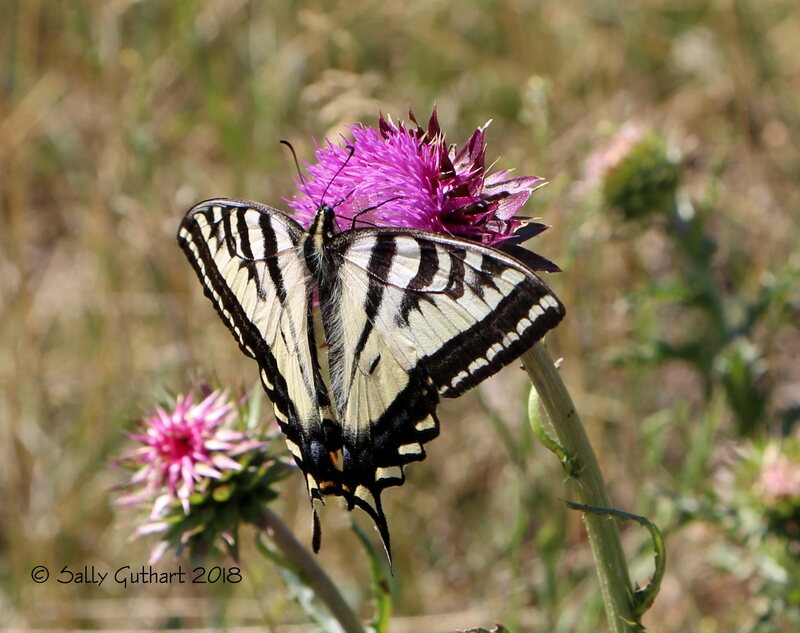 I know this type of thistle is invasive, but it's unfortunate that so many people even see native thistles as ugly, noxious weeds, when in reality they provide excellent habitat and food for all sorts of pollinators (and even other animals, too).